Skincare as a gift can be a bit tricky! It is such a personal choice. Some things work for some people, yet not for others. However, if you know that someone likes a particular brand or if you know that a gift set is full of best-sellers for someone's particular skin type, then a skincare gift might be a great choice! 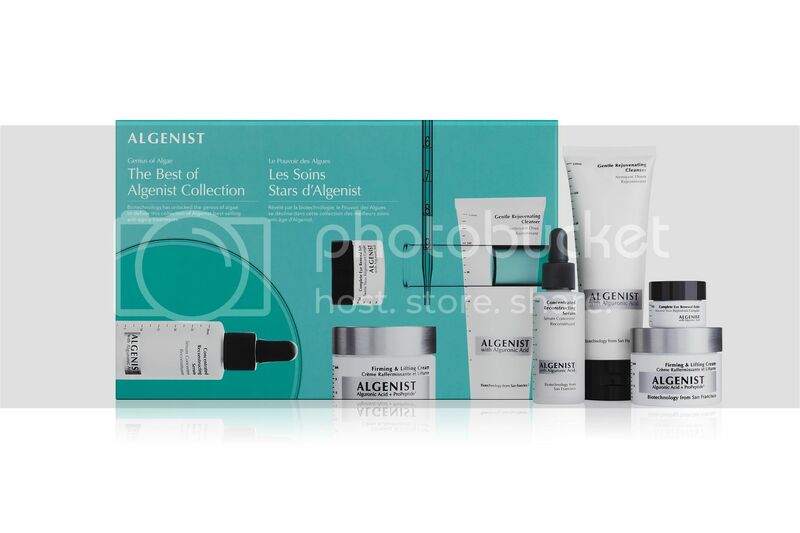 I am excited about Algenist's lineup for Skincare Gift sets for the Holiday 2013 season! I have tried many products across this line and I have been impressed by every single thing that I have tried! The products are innovative and effective; yet, they are also very gentle. 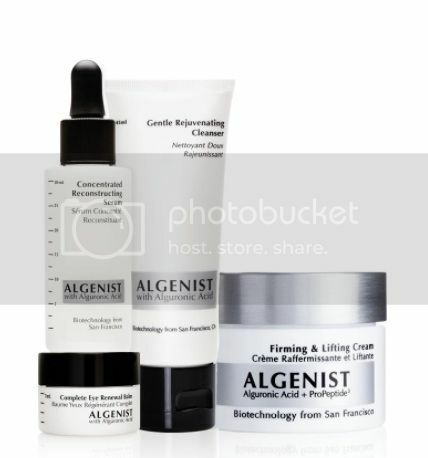 I think that Algenist skincare would work great for anyone looking for high end anti-aging skincare that is research-based and gentle on the skin. I decided to try out the "Best of Algenist" Collection. I think that this set, of the three, might have the broadest appeal. Plus, I am not in particular need of "anti-wrinkle" or "firming" products since I am mostly treating fine lines at this point and preventing further signs of aging. I am absolutely thrilled with this set! I have actually tried a couple of the products in the kit before and given them full reviews: the Algenist Complete Eye Renewal Balm and the Algenist Concentrated Reconstructing Serum. The Complete Eye Renewal Balm works wonders on fine lines and the Concentrated Reconstructing Serum is one of my go-to, Top 5 serums!!! If you haven't already, please be sure to check out my full reviews of these items! New to me, from this set, are the Gentle Rejuvenating Cleanser and the Firming & Lifting Cream. Both of which are total hits for me!!! The Rejuventating Cleanser has the most awesome texture! It is like a foamy cream (the texutre reminds me of a clearasil foaming cleanser that I used to use a million years ago...way to drying for my skin now, but I always loved the cool texture of the product). You only need a small dollop to create a fabulous foam to gently cleanse your whole face. I use this cleanser in conjunction with my beloved Foreo Luna device (click the link for my full review on the Luna!). However, the cleanser also works just great on its own. The Firming & Lifting Cream is a surprise hit for me! While I do not tend to gravitate towards "Firming" nor "Lifting" products, this product still worked great for me. So, I am glad it was included in this set as I might not have tried it out otherwise. The cream has an ultra thick texture. Yet, the cream is amazingly non-greasy and feels so refreshing on your skin. I apply this as a night cream all over my face after cleansing and applying the serum. Even though the cream is ultra-rich, it did not cause any breakouts. In fact, my skin looks more clear since using all of the products in this kit! 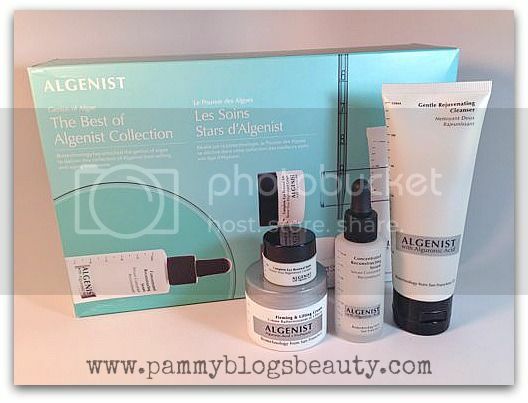 Overall, I loved the Best of Algenist Gift Set! What a great deal for $119. No, that price is not inexpensive. However, when you look at the cost of the individual items in the kit, it really is a fabulous deal and a great value! Nice gift idea. Thanks for sharing!